The prostate is part of the male genitourinary tract, located just below the bladder neck. It plays a specific role in the reproductive process, producing proteins in the ejaculate that aid the survival of spermatocytes. Cancer of the prostate is a disease that usually affects men older than 50 years of age. It is diagnosed with a prostate biopsy, and staged according to the PSA blood levels, digital rectal examination findings, and histology grading. Potential treatments include surgery (radical prostatectomy), radiotherapy (brachytherapy or external beam), hormonal therapy, and active surveillance. Surgical techniques include robotic assisted surgery, laparoscopic assisted surgery, and traditional open surgery. The aim of surgery is firstly oncological (cancer) control, then urinary incontinence recovery, and thirdly preservation of erectile function. 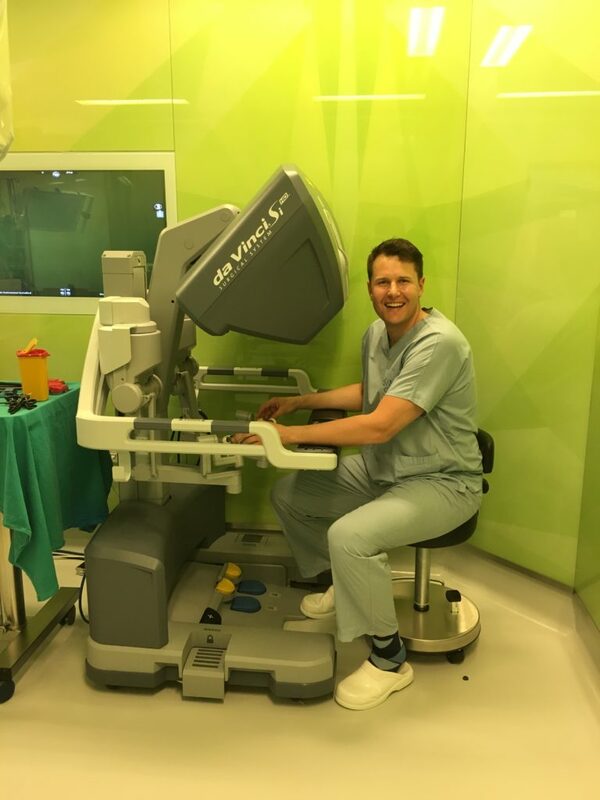 What are the potential benefits to robotic surgery vs open surgery? Due to the high costs involved with the da Vinci robotic procedure (consumables etc), a co-payment may be required depending on your medical aid. A quote will be generated by Mediclinic Durbanville & pre-operative authorisation obtained.